The Traditional Siamese is an intelligent, people-oriented cat which enjoys human companionship - whether it be as a lap warmer or chasing a toy. They are inquisitive and friendly, and like nothing better than to sit in the middle of something you are trying to read. They talk to their people in an affectionate, conversational way. With their calm temperaments, they are well-adapted to life in either a house or an apartment. They are not in perpetual motion - they have a fairly balanced activity level and are just as happy to chase a toy as to curl up in your lap for a snooze. Where can I find Traditional Siamese breeders in my area? Check the ads in the Siamese section of any cat magazine for breeders' names. Look for those advertising "Traditionals" or "Appleheads". 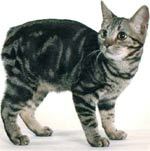 The Traditional and Classic Cat International (TCCI) offers a Breeder's List on their web site. This list includes many breeders who are ethical and offer healthy, purebred kittens. They range in price from $200-$800 - registered cats from reputable breeders are more expensive. What's the difference between Traditional Siamese and modern Siamese? To be honest, the main difference is largely individual preference. Some people adore the new look, while others hate it. Why do Traditional and modern Siamese look so different? See History. 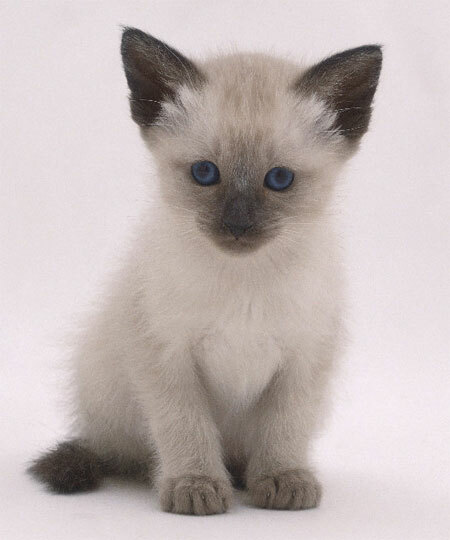 The Traditional Siamese does not conform to the breed standards for Siamese cats in most of the cat associations (with the exception of the Traditional and Classic Cat International (TCCI) which wrote its standards specifically for the Traditional Siamese). As such, they are unable to compete with modern Siamese cats. 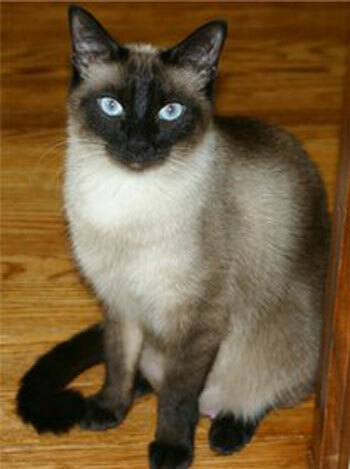 Though theoretically there is nothing in the show rules that prohibits a registered cat from competing in its breed class, in practice, very few people attempt to show them as Siamese though the United Fanciers Organization (UFO) currently allows Traditional Siamese to be shown competitively under the designation "Siamese-2". In other associations they are sometimes shown in the "Household Pet" class, where breed is not a factor. 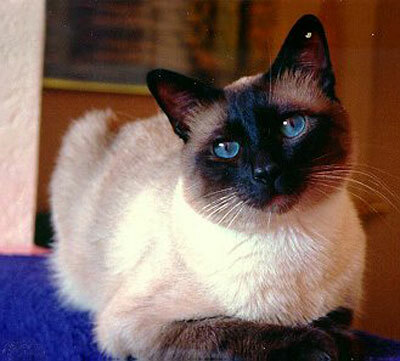 Traditional Siamese are not delicate cats, and typically are very healthy with very good appetites. 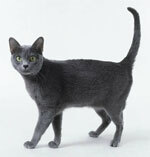 Most breeders recommend a high-quality dry food, and most cats can eat when they like without becoming overweight. Middle-aged cats (5-10) are the most likely to have weight problems, which can usually be controlled by switching to a low-calorie food. Most Siamese cats reach sexual maturity at an early age - it is not uncommon for a female to experience her first heat at the age of 5 months. Spaying is recommended by the age of 6 months, and neutering at the age of 6 months or even earlier. If neutered at an early age, males generally do not spray. 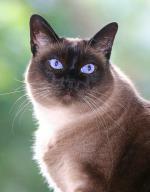 There aren't many Traditional Siamese breeders in the world. Each breeder tends to specialize in a different look - some have the very round, very stocky, Traditional cats, while others have a cat that TCCI calls a "Classic Siamese" which is a bit more refined, though still retaining the round head, and still others have cats that are more of a modified wedge. 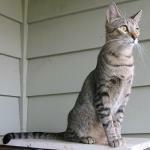 Prospective buyers need to decide what sort of look they prefer, and talk to breeders about their cats, their health, and their personalities. Don't be surprised if the breeder thoroughly questions you about the sort of environment you will provide for the cat - most breeders are very careful in selecting homes for their kittens. You will probably be asked to sign an agreement stating that the cat will be spayed/ neutered, that it will NOT be declawed, and that it will be an indoor-only cat. Many Traditional Siamese cats are not registered, even though the majority are from purebred lines whose breeders have kept meticulous records over the years. We must admit that some cats advertised as "Traditional Siamese", though they exhibit all the desirable purebred qualities, are of questionable lineage, and may have some alley cat not too far back in the pedigree. If this matters to you, you can try to find cats that are registered - though difficult, it is not impossible. Disclaimer: The following lists have been recommended in good faith by the author. However, you are still responsible for verifying that a particular breeder meets your needs to your satisfaction.